The 2nd Asia Trusted Life Agents & Advisers Awards Presentation Dinner was held on 12 July 2017 to honour the very best in Asia’s life insurance industry. The region was well represented across winners, with individual and corporate champions coming from seven markets—China, India, Malaysia, Vietnam, Hong Kong, Thailand and Singapore. For displaying an uncanny talent for the business, an unflagging spirit and agility in thought and mind, Ms Melody Yang is the Rookie Insurance Agent of the Year. Before joining AIA, Ms Yang worked as a treasury supervisor in charge of a corporate entity’s initial public offering (IPO), group financing, and equity and bond offerings. The knowledge acquired from the financial market, combined with the experience in handling customer relations, equipped her with the skill set to best understand a client’s financial needs. Upon entering the insurance industry, Ms Yang qualified for the Million Dollar Round Table (MDRT) Top of the Table (TOT) in the first six months of her career. In 2016, she qualified for TOT again. Having successfully delivered 200 insurance policies in the whole year, Melody was ranked the 13th Top Financial Planner of the year 2016 across the AIA group. Although she has only been in the insurance industry for less than two years, Ms Yang was recently promoted to become the New Unit Manager (NUM) as a premier academy leader. She is already on the fast track to the managerial level. Other than acquiring her Insurance Intermediaries Qualifying Examination (IIQE) professional certifications, she has continued to improve her knowledge base and expertise in personal, property and group medical insurance. Not content to rest on her laurels, Ms Yang also embarked on attaining professional certifications as a Certified Financial Planner (CFP). 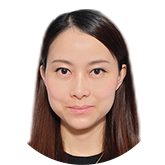 Having majored in Information Technology and Management in postgraduate school, Ms Yang is adept at managing and integrating client base with cutting-edge technology. She utilised a custom client management system to identify different levels of clients, with which she screens and categorises clients through data analysis. The system allows her, for instance, to be alerted when a customer’s policy coverage is maturing, and automatically sends out new promotional product information. 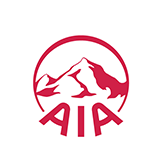 At the same time, she also strives to promote AIA’s new product and services via the use of a strategic combination of insurance products and additional benefits. Apart from the qualifications and skill sets she possesses, social responsibility and public welfare establishments are an important component of Ms Yang’s career. She regularly donates to Smile Angel Foundation, an organisation that helps children born with cleft palates. She also volunteers for the Tung Wah group of hospitals. Ms Yang is determined to give back to society to the best of her capacity, and serve the community that has helped her become the person she is today. Having built an impressive career in under a decade, displaying an exemplary work ethic and drive for success, and proving himself to be a formidable leader, Mr Chong Jit Shan has been named the Rookie Insurance Agency Leader of the Year. Mr Chong joined Great Eastern Life Assurance (Malaysia) Berhad as an agent in 2010 at age 22. 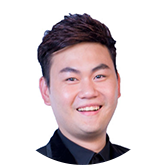 He built a strong foundation before being promoted to Unit Sales Manager (USM) in 2013 with a team of 24 agents. He achieved an agency production of MYR1.1 million (US$256,000), which exceeded the company’s requirements; and in doing so, he created a new benchmark for his promotion. In recognition of his outstanding performance, he was presented with the “Pacesetter” award by Great Eastern at its 2012/13 Annual Supremacy Awards & Dinner. In his first year as USM, he managed to grow his team to 42 people, generating a total annualised premium of MYR2.2 million; equivalent to the Gold L.E.A.D. AAA Award that is only given to the top 20% of Great Eastern’s Group Sales Managers (GSM). Great Eastern recognised Mr Chong’s exceptional leadership with the ‘Emerging Leader Award’ at its 2013/14 awards. Rising to a challenge by Great Eastern’s CEO, Dato’ Koh Yaw Hui, Mr Chong amassed an agency of over 100 staff and was promoted to GSM. Starting with fewer than 50 agents at the beginning of 2015, his team grew to 102, including four direct and indirect USMs and a total annualised premium of MYR2.77 million. He was the youngest GSM to have ever been promoted with a 100+ team. To recognise yet another milestone achieved, he was awarded the “Breakthrough” award for 2015/16. As GSM, Mr Chong’s award-winning streak continued, as he was recognised and awarded Top Rookie GSM, after breaking a Great Eastern record for highest production point. In terms of recruitment, he was the only rookie GSM to receive the 100+ Agency Award. At the age of 28, leading over 100 young and energetic agents, with more than MYR5 million in production, he was named the “‘Pacesetter in Young Entrepreneurship”. To ensure the efficiency and effectiveness of the agency operation system, he classified operations into four departments–events and promotion; strategy planning; recruitment & training; administrative and support. He built and developed a group of leaders, delegating them into the department that best utilised their talent and magnified their strengths, empowering them to execute the tasks and jobs assigned. Driven by his persistent efforts, discipline, focus and passion, Mr Chong has built a kingdom in seven years during his 20s. For her untiring efforts at improvement for both herself and her clients, her admirable work ethic, and her charitable spirit, Ms Nguyen Thi Linh is the Financial/Bank Adviser of the Year. Given the very short time that Ms Nguyen has joined the life insurance industry, the young staff from Manulife Vietnam (MLV) has proven her potential as well as strong will to become an outstanding financial adviser. With diverse experience in different fields, strong commitment to non-stop self-improvement, high professionalism in dealing with customers and strong devotion to both her own career success and business ethics, Ms Nguyen has become one of the best financial advisers in MLV’s bancassurance team. 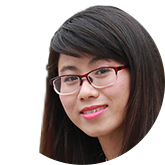 She is currently working at Techcombank (TCB) – Hanoi branch, which is one of the leading banks in Vietnam. She became the Top IOIS (MLV bancassurance sales staff) after only one month of joining MLV and the life insurance industry. In that first month, her contribution played an important role in setting a new record of the Hanoi branch office, with a total sales revenue four times higher than the average of other months. In 2015, Ms Nguyen also achieved the Platinum title for Top IOIS with her outstanding performance. What makes this achievement even more impressive is that she received this prestigious title after only six months of joining the team. She also holds another record at the Hanoi branch office of TCB – she is the one who closed the largest policy deal valued at VND500 million (US$22,000), which once again proves her huge potential and sharp skills as a financial adviser. Her tireless ef for ts to improve through self-learning saw Ms Nguyen, during her early days in life insurance, conducting self-study sessions on MLV insurance products, as well as brushing up on sales skills on the Internet until midnight every night. This strong will has helped her to quickly catch up with and get ahead of other colleagues in the sales field. A keen learner with numerous study courses and certificate of recognitions, Ms Nguyen has joined a number of training courses, both inside and outside MLV, for outstanding performers. She is an active member of BNI Businessman Club – a popular business networking club in Hanoi. For the loyalty she shows to her clients, her resolute determination to succeed and to serve and for the tireless way she closes the protection gap one client at a time, Ms Divya Tusnial has been named the Insurance Agent of the Year. Ms Tusnial, a housewife from a traditional Indian family and a mother of two daughters, joined Tata AIA Life Insurance Company in 2009. In her first year of marriage, she lost her father-inlaw who did not have any insurance. That was when she realised the need for insurance. But she had no first-hand knowledge of the corporate world. The only strengths she had were her willingness for untiring legwork and an indomitable passion. In the first few days of her training and induction, she learned that being an MDRT qualifier is winning the highest honour of the life insurance sector. She then made that her bullseye. Ms Tusnial achieved MDRT in 2010, 2011, 2012, 2013, 2015, Court of the Table (COT) in 2014, TOT in 2016, 2017, and has already qualified for TOT in 2018 (by 31 March 2017). She is a LIMRA International Quality Award winner for her excellent record of maintaining inforce business. 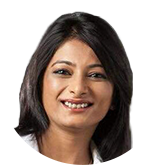 She was the MDRT brand ambassador for Tata AIA Life Insurance Company focused on increasing the MDRT qualifiers in the organisation, which doubled the MDRT numbers from 76 to 153 in the 2017 calendar year. She conducts sessions for advisors in which she inspires aspirants to qualify for MDRT. Her motto is ”success does not lie in results but in effort; being the best is not as important as doing the best”. She believes that her biggest competition is with herself and she firmly believes in setting higher performance benchmarks. Making it a point to meet an average of three clients a day and integrating technology into the processes of financial health review of her clients, she wins over customers with cold calls she makes daily, and the way she stays in touch with her clients and their families, personally calling them during significant milestones. Ms Tusnial’s clients view her as one of the most respected and reliable advisors in Kolkata, and this is one of the main reasons that her client retention is enviably high. Her expertise in selling employer-employee cases and protection plans have resulted in a word-ofmouth fame in the industrial fraternity. She believes self-development is very important for success and the Life Planner programme with Tata AIA has given her an edge in the marketplace. For her aspirational work, innovative methods and proven track record as an agent and as a leader, Ms Karine Lam is the Insurance Agency Leader of the Year. Ms Lam joined the industry with neither profound experience nor personal network at age 26. With a can-do and nothing to lose attitude, she pushed herself to the limit, demonstrating a fast success model with the spirit of “everything is possible”. As a female leader in the insurance industry, Ms Lam is driven to create dreams and hopes for new agents and her peers. She aims to serve as a role model for those who aspire to hit the MDRT. With her spirit of giving keeping her going, she is constantly bringing up more young talents to be professional advisors and future leaders of the industry. By building consistent success and a portfolio of societal contribution for almost 10 years, she has set herself as an example of inspiration. In 2016, she demonstrated a track record of helping both financial planners and managers to succeed, gaining more than 100% growth in group commission. As a result, she was ranked among the Top 6 District Directors of the Year (by direct team production) and the Top 6 District of the Year Award (by growth of direct district). Ms Lam also doubled the number of MDRT under her direct team, two of whom were TOT, seven of whom were COT and 10 were MDRT; among them, eight had been with her for less than a year. In the same year, she also recruited more than 50 new agents, accounting for more than 100% growth in manpower. She has developed systems on training, meetings, recruitment, production and self-growth, with enough autonomy and flexibility to help her agents discover the best of themselves and pursue their unique path of success. Ms Lam tirelessly promotes the value of the insurance business and continually gives back to the society. She has organised various workshops, seminars and internship opportunities, and even mentorship for different segments in society, such as the underprivileged, children, teenagers, undergraduates, and Master’s students. In recognition of her achievements in the professional arena as well as community services, she was the first and only insurance industry representative presented with the HK Ten City Lady Awards (2012). 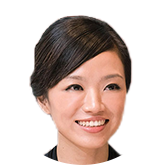 Ms Lam remains active through her charitable activities across various organisations. She has also served as a school manager since 2009, proving her devotion to education. On the personal front, her dedication to lifelong learning has seen her embark on courses about financial planning, succession and personal development, strengthening her subject knowledge as a professional advisor and capable leader with well-rounded perspectives. For his constant inspiration to others, his ability to guide and elevate those working with him, and his commitment to leading from the front, Mr Colin Ong Lian Jin wins the Inspirational Leader of the Year award. 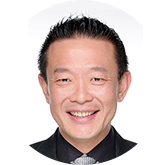 Mr Ong joined the insurance industry under the tutelage of his mentor, Great Eastern Agency Director Tan Koon Chuan immediately after he graduated from the National University of Singapore (NUS) in 1992. 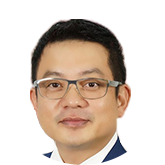 Today, Mr Ong is a Senior Executive Financial Services Director with Great Eastern Financial Advisers and one of the top and most successful leaders in Great Eastern. He founded an agency alliance group – Advisors Clique (AC) which has grown from strength to strength. Starting as an eight-man team, AC has close to 440 members today. Many of his peers and associates regard him as a mentor, respect him as an inspiring visionary, and know him to be a leader with a big heart. His ability to galvanise the entire team towards a shared vision is remarkable. His active involvement with every associate (direct and indirect) has earned him the respect of his team and peers. Several have attributed their success to Mr Ong’s active involvement in coaching and guidance. He was promoted to Divisional Sales Officer in 1998, and since then he and his team have bagged numerous awards. In recognition of his exemplary leadership and contributions to agency building, he was awarded the Centennial award, his greatest recognition and achievement yet. This award was given to only three Senior Directors on its 100th year anniversary to recognise their contributions to Great Eastern Life over the years. In 2016, he was also recognised for promoting eight Directors in eight years, the first Director in Great Eastern to achieve this recognition. In 2017, the AC received the Extraordinary Growth Award in 2017 for growing 15 directors in 15 years with an unprecedented growth of 20% compounded over that entire period. A strong advocate of leadership from example, he has achieved the MDRT 22 times from 1993 to 2017, and has fulfilled his dream of becoming a MDRT Life Member. By 2009, he achieved the Honour Roll, an award for achieving 15 MDRT qualifications. His direct group boasts of 4 COT planners and a TOT planner. He personally has achieved the coveted COT award twice in 2012 and 2014. In 2011, in his consistent quest to lead by example, he qualified for Great Eastern Life’s Entre-Planner award which recognises the top 1% of producers. In 2012, he bettered this and qualified as Executive Entre-Planner, repeating this achievement in 2013, 2014, 2015 and 2016. He was awarded the life member status for both Executive Entre-Planner and his Senior Executive Director designation. Over the years, Mr Ong has actively given back to society. He has sponsored children from a Sri Lanka orphanage, donated to underprivileged children, given sponsorships to schools in Singapore, participated in many fund-raising events and supported elderly homes. Annually, he spearheads AC’s charity luncheons and dinners to bring cheer to the elderly and disadvantaged. For looking after not just the community around him, but also those further afield, and for also looking ahead at the future and the world we will leave behind for the coming generations, Mr Punsak Pasukulpun has won the Agent/Agency CSR Initiative of the Year. Mr Pasukulpun, a 49-year-old Senior District Director with 26 years of service for AIA Thailand, lists “Care for People’” as his top core value. He has initiated many CSR projects focusing on three key areas: health and well-being, reforestation and creating awareness of the importance of life insurance. In 2006, when Mr Pasukulpun was a President of the Life Insurance Counsellor Association (LICA), a club for AIA agents nationwide to share life insurance knowledge, sales techniques and successful stories, he initiated Give for Life, a CSR project aiming to enhance health and well-being for underprivileged people living in remote areas. He arranged fundraising activities and got the LICA Committee to donate to the project. He has also donated the profits of his biennial seminar to this CSR project and regularly invites his seminar attendees to contribute. With his commitment to do good things for society and to decrease the gap in social inequality, the Give for Life project has, for over a decade, provided necessary help in improving the health and well-being for underprivileged people living in remote rural areas. At least once a year, Mr Pasukulpun leads the volunteer team consisting of people from a series of diversified careers, including nurses and doctors, to offer free medical care and health check-ups to underprivileged people, especially those who live far away from clinics or hospitals. From the beginning of the Give for Life project, Mr Pasukulpun travelled throughout Thailand and found that the forests were shrinking dramatically. He initiated reforestation projects with Department of Forestry officers with a mission to repopulate the forest with at least 10 rai or 500 trees per year and at least 100 rai or 5,000 trees within 10 years. The first mission of 500 trees was completed in Huai Khun Kaew Reservoir, Uthai Thani province in February 2017. 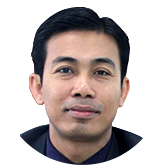 Additionally, he constantly works to encourage Thai people countrywide to realise the benefits of insurance and improve life Insurance literacy. In 2008, he and his colleagues kicked off “Mor Prakan” (Doctor of Insurance), a radio programme sharing life insurance knowledge. It is through his prominent involvement in this that he too, has been called the Doctor of Insurance. Mr Pasukulpun has also devoted time to writing and is the author of several books on financial planning. He launched a website, ”Mor Prakan Online”, to promote insurance literacy and awareness. He has shared his insights and experiences as a guest speaker across the country, educating and grooming agents to develop themselves professionally and to give back to the society at the same time. For having lived a lifelong success story and yet still not resting on his laurels, and for sharing the wealth of his success, experience and knowledge and his unflagging optimism, Mr Rayner Lee has been honoured with the Lifetime Achievement Award. Mr Lee joined AIA Singapore in 1966 at the tender age of 19. He celebrated his 50th anniversary in the industry last year (2016) and topped it off by achieving his third AIA Top Financial Services Director (FSD) award. Thriving in this industry for 50 years is no mean feat, and he attained it by continuously improving and managing changes. He strongly believes that as a manager, he must recruit, train, manage and create successful leaders. This has spurred Mr Lee to lead, guide and groom a Master District Director, Mr Lawrence Chong, and a four-term Financial Service Manager Association President, Mr Daniel Yow, among many other highly successful directors. Since joining the industry, Mr Lee has been setting personal goals and has been attaining excellence year after year – by creating new records of achievements in all that he undertakes. In 1999, his team achieved Top Manager and Agent of both AIA Group and AIA Singapore. His district produced the Top Manager and President for three consecutive AIA Summit Conventions, over a period of six years from 1998 to 2003. 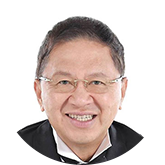 His Motion District has produced the Convention President for a whopping 22 terms of the Summit and Mini Conventions since 1986. As a strong advocate for the High Net Worth (HNW) Business since 2004, Mr Lee started building his own “brand”, specialising in HNW business. Since the AIA HNW Prestige Club was launched in 2006, he has achieved the Top HNW FSD award an amazing seven years out of 10. In 2016, he produced six HNW Managers and 18 Personal Wealth Managers / Directors (HNW producers). Among these, four (including himself) have qualified for the High Net Worth Prestige Club for 10 consecutive years since the inception of the club. He has set the MDRT as the benchmark for his team and he has personally qualified for it numerous times as a manager. He has led his team to qualify for MDRT District since the club was inaugurated, and in 2016, several of his team of 75 Financial Services Consultants were MDRT qualifiers. His team includes a Life & Qualifying member of MDRT-TOT & Centurion Club, a Life & Qualifying member of MDRT-COT and a Life & Qualifying member of MDRT. Mr Lee also remains committed to helping the less fortunate by giving back to society. He has built schools and supported underprivileged children in China and Cambodia, as well as donated generously to many worthy causes both at home and abroad. To commemorate his 50th Anniversary last year, Mr Lee, together with his team, SP-Motion FSCs and associates raised funds for three local organisations and two individuals. Mr Lee makes it a point to keep moving forward and not make the same mistakes. While other people his age have retired or are taking things slow, he is still very much committed to this industry and his career. 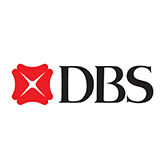 For its ability to integrate the needs of agents, clients and their partners, combined with an efficient, effective and market-leading digital strategy, DBS Singapore is the Affinity/Bank Partner of the Year. DBS is a leading financial services group in Asia, with over 280 branches across 18 markets, and has a growing presence in Asia-Pacific. It is headquartered in Singapore, and is the country’s leading retail bank in terms of primary customer relationships, serving 85% of the population. The bank made headlines in 2015 with its 15-year pan-Asia bancassurance deal with Manulife in four markets: Singapore, Hong Kong, China and Indonesia. With a high degree of cultural fit and shared commitment between DBS and Manulife, the partnership jump-started to a roaring 2016 post-integration without any break in momentum – achieving record-breaking business performance in all four partnership markets, and delivering on a series of remarkable achievements across business performance, digital transformation and customer engagement approaches. In its first year of partnership with Manulife, DBS outperformed its own 2015 business results (which were already at a peak) and achieved first place bancassurance market share in Singapore with over S$400 million (US$288 million) in total weighted premiums. Beyond its home base, the bank also surpassed its past growth rate in life insurance business across the three other markets that tapped on the solution expertise provided by the insurer. Manulife’s standing as a life insurance player in Singapore has also leapfrogged from 6th to 2nd place overall, with its bancassurance channel growing about 1320% assisted by the strong business brought in through DBS’s distribution network. The partnership has introduced more than 30 new products optimised to fulfil DBS’ customer needs, ranging from serving mass customers in Singapore to the needs of high-net worth customers in Hong Kong. To achieve such outstanding performance in its infancy year is truly admirable. The partnership embedded a structural focus on innovation, supported by a S$100 million technology and innovation fund to deliver better customer experience. Both entities created an endto- end digital and hassle-free customer journey for bancassurance and launched a market-first digital insurance solution (Manulife IncomeGuard+), without the need for physical forms or underwriting for eligible customers. DBS and Manulife are currently exploring taking their innovation work further by developing a joint customer acquisition model to leverage DBS’ Digibank rollout and Manulife’s experience with other digital acquisition markets, particularly in China, the Philippines and Indonesia. Such groundbreaking accomplishments in the first year of partnership is truly remarkable. The alliance has been mutually beneficial from a commercial perspective, and the partners have found their organisations to complement and support one another in their journey in digital transformation. For enhancing, improving and uplifting the work of insurers and agents, and for its versatile and powerful platform that improves the user experience for agents and clients, eBaoTech is the Technology Provider of the Year. With billions of users and connected devices around the world today, eBaoTech believes digital insurance means connected insurance. Insurance was never meant to be a standalone business, but high costs of connectivity limited its integration in the past. The company’s APIbased eBaoCloud is designed to enable insurance to be connected to numerous other businesses and daily lives of people of all income levels. As an enabler for insurers to innovate new products, experiment with new channels and achieve many-to-many connectivity in just weeks, eBaoTech features native cloud architecture; connectivity and an enablement platform for brokers/agents, insurers, affinity partners, and FinTech startups; micro services around insurance products and policies; product mixing and bundling across lines of businesses. The platform has gained popularity with insurers across the world, bringing benefits such as increased sales revenue, enhanced front-office productivity and improved mobility for traditional channels. By helping insurers implement standardised and automated processes, the company helps its clients move their business to the online world, extending their reach beyond the physical. The mobile platform is able to provide services ranging from quotation of policies to underwriting, to policy issuance, with an easy-to-use interface that can be easily integrated into existing platforms. 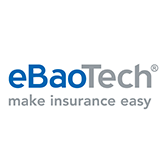 eBaoTech was founded in 2000 with a mission to make insurance easy. Today, with business in more than 30 countries globally, serving more than 100 carriers and numerous agents, brokers, and other ecosystem players, it has become a global leader in insurance technology. It offers two groups of solutions: eBaoCloud and eBao Software. eBaoCloud provides nearly realtime capability of technology adoption for the insurance industry, while eBao Software offers more traditional on-premise implementation of software products for insurers and large brokers/agencies to optimise operation and support business growth. Digital insurance is the central theme in the coming years and eBaoTech is well-positioned to be a partner and enabler for the insurance industry to accelerate technology adoption and move fast in the digital age. For his dedication to improving the lot of agents and advisers, his constant quest to act as bridge between the industry and the regulator, and his tireless efforts to improve the industry, Dr Khoo Kah Siang is the Executive Champion of the Year. 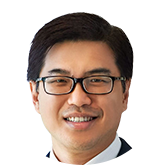 Awell-respected figure in the insurance industry, Dr Khoo joined Great Eastern Life Assurance Co Ltd in 2006 as Head of Group Corporate Finance and has held several portfolios in the company since, including Head of Group Actuarial, Appointed Actuary, as well as Chief Financial Officer. He is currently the Senior Managing Director, Strategic Business Development and Regional Bancassurance responsible for the bancassurance business, new channels and new markets across the Great Eastern Group. Dr Khoo was the President of the Life Insurance Association, Singapore from October 2013 till March 2017, Board Member of the Singapore College of Insurance (SCI), and is a Council Member on the Board of Institute of Banking and Finance (IBF), Chairman of the Financial Planning Standard Setting Committee in IBF, Commissioner of Great Eastern Life Indonesia (GELI), Director of Great Eastern Financial Advisers (GEFA), as well as director of a number of subsidiary companies in Great Eastern. During his tenure as General Manager and CEO of the Singapore business, he led the transformation of Great Eastern Singapore on various fronts and maintained Great Eastern’s market leadership in Singapore. The company won the Life Insurance Company of the Year award in 2011 (GE Singapore) and 2013 (GE Holdings) and held first position in the National Customer Satisfaction Index by Singapore Management University for the Life Insurance category from 2013 to 2016. Dr Khoo led the tied agency and advisers’ transformation through enhancing their professionalism. This was carried out with the strategy of recruiting advisers of sound character and quality, revolutionising training to fit the training needs of the advisers and empowering the advisers with the right tools to carry out their engagement with the customers effectively. Dr Khoo has placed top priority on the development of their agents at all levels, to equip them with competencies to thrive in the changing environment. The training centre was revamped in 2012 to provide a first-class facility with environment for wireless gadgets. The latest medium and method of training have been adopted for the swift transfer of knowledge and effective skill upgrading. He also played a critical role in the digital transformation of Great Eastern. Under his guidance, the company proactively leveraged technology to improve efficiency and productivity, while providing greater mobility for the advisers to deliver a superior customer experience. Notable enhancements were made to their financial planning and point-of-sales systems. Dr Khoo was conferred the Distinguished Fellow of IBF in 2015 and was also one of three finalists in the 2015 Asia Insurance Industry Awards‘ Personality of the Year category. He was also invited to be a member of the MAS Financial Centre Advisory Panel to look at developing Singapore as a financial hub, as well as the Financial Sector tripartite committee to tackle talent issues amidst the financial sector’s transformation. Serving the community since 1931, AIA Singapore remains committed to its people, constantly being with its AIA Financial Services Consultants (FSCs). It is focused on deeply engaging its agency force, equipping agents with state-ofthe-art tools and innovative solutions to uplift their professionalism, provide service excellence to customers, so as to enable Singaporeans and their families to live longer, healthier and better lives. AIA ranks first in Singapore for having the most number of MDRT Registered Members. With one of the largest agency forces in Singapore, the insurer introduced a new MDRT mentoring programme in 2016, which provides potential FSCs with coaching from existing MDRT members. It also equips its FSCs with innovative tools which enhance their efficiency and productivity. In October 2015, AIA Singapore revolutionised the Insurance Purchasing Process by being the first in the industry to incorporate a digital underwriter into an interactive point-of-sales system on the iPad (iPoS), providing instant approval for standard insurance applications. iPoS has since been further enhanced and renamed as Interactive Mobile Office (iMO), which is a suite of tools developed to digitally enable the agency force. AIA Singapore also implemented iResource 3, a one-stop sales app that can be accessed online and offline, offering AIA FSCs seamless access to information. The 24/7 app provides richer interactive content, reinventing the way in which FSCs engage customers. iResource 3 serves as a learning tool for AIA’s FSCs as well as a platform to communicate the company’s marketing initiatives to them, providing the digitalised agency force with competitive advantage in the midst of today’s tech-dominated landscape. Looking out for the well-being of their agents, the AIA Vitality Weekly Challenge inspires AIA Vitality members such as the AIA FSCs to get active and get rewarded weekly. With this, FSCs can easily convert healthy actions into tangible rewards via a mobile app. Going beyond traditional sales, AIA Vitality is a sustainable platform for FSCs to build relationships. They can now have longer-term conversations with their customers and families about their health and wellness. The AIA Premier Academy specialises in providing the agency force with continuous training to alleviate and set new standards for efficiency. Together with incentive trips for agents who achieve excellence, AIA Singapore enables its FSCs to be motivated and continually improve their service.